I’ve done stranger things this year than fact-checking a Google ad, but not that many. 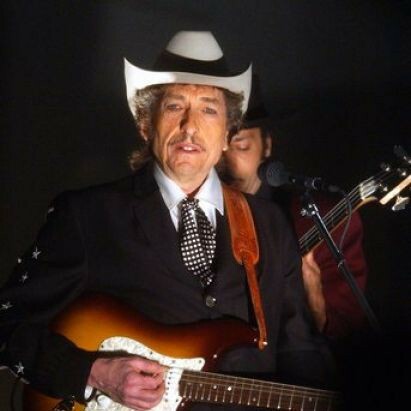 In 2010, Dylan continued his contributions to global advertising culture by licensing his image and a song to Google. In this case, “Subterranean Homesick Blues” and the cue-card flipping video from Dont Look Back were used in an for Google Instant, which I now know is the term for the way that Google will offer auto-fill suggestions as you type in their search bar. The ad uses the quick segues of Dylan’s song to show someone typing the lyrics into google, and then close-ups as non-Dylan items come up (my favourite is the portion of the panel showing Charles Schulz’s Pigpen). I ran my own fact check because Google suggests that “God knows when” leads to a “sparrow falls”. For me I got “You will die” on that one. These things are tailored to our previous search patterns, so maybe I should be concerned. There’s not much to say about this example of Dylan selling-out. The ad is funny and kind of quirky and well crafted. Nothing to object to, really. At best it is an odd reminder that occasionally Google still feels a need to advertise a product that most people use multiple times per day. Also, it seems like that auto-fill feature has been around a lot longer than four years.